Petra, one of the new wonders of the world and ancient architectural marvel set in the deserts of Wadi Musa, Jordan. 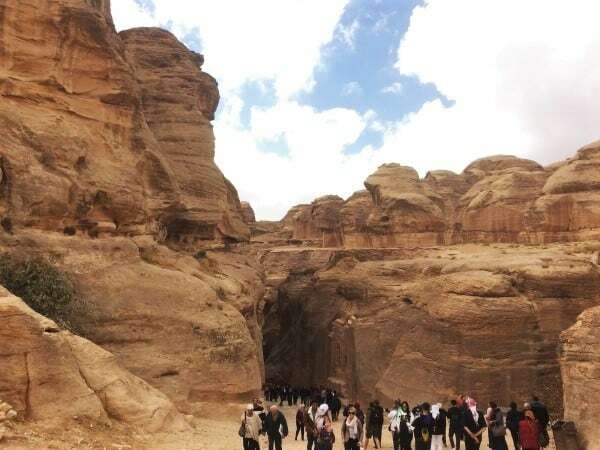 Over the course of hiking a few miles,through a ravine (wadi) carved into the ground of the red desert and up a few hills, you’ll marvel at the legendary “treasury” and the “monastery”, two structures carved into the red rock cliff sides of Wadi Musa. At the end of the hike, you’ll be rewarded with an expansive view of the Arabian desert towards Israel. Petra and Wadi should be on every traveler’s bucketlist. A Little Background: What is Petra? Petra is an ancient city settled by as early as 9,000 B.C. The Nabateans, a tribe of nomadic Arabs in the region, settled and developed the city, building structures and channeling water and developing agricultural cultural practices inside Petra to form an artificial oasis. This oasis eventually became a resting point and trading hub for traveling merchants. 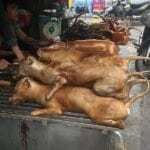 It is believed that by the 4thcentury B.C. Petra became the capital of the Nabataean Kingdom. 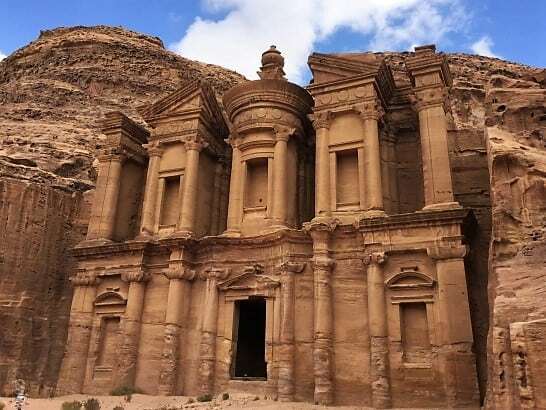 The city of Petra was annexed by the Roman Empire in 106 AD but later fell from memory as sea trade routes grew and earthquakes destroyed many structures. 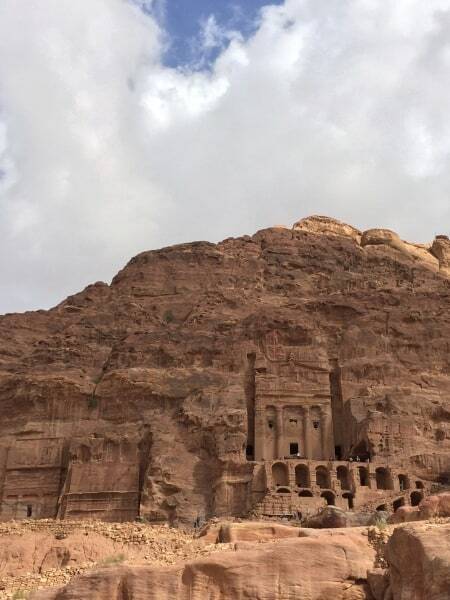 By the Islamic era (8th century – 14th century), Petra was forgotten by everyone but local nomads living inside Petra. 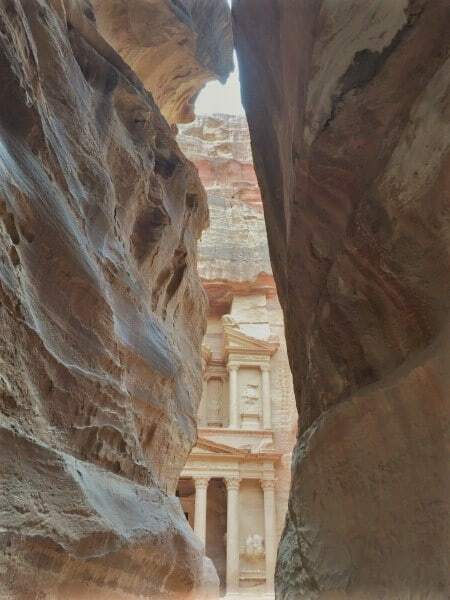 In 1812, Petra regained notoriety as a Swiss traveler and geographer, Johann Ludwig Burckhardt, rediscovered and published his adventure visiting Wadi Mousa and stumbling upon Petra. Petra is most known for the Siq, a long, beautiful, red-rocked Wadi trail, Al-Khanzeh, more commonly known in English as “the Treasury”, and the “Ad-Deir”,or “the Monastery” in English. One feature in Petra (the Siq) was carved by nature over thousands of years while the remaining two (the Treasury and the Monastery)were sculpted by the Bedouin Nabateans (with architectural advisement from the Greeks), but all three sites should be on every traveler’s bucket list. 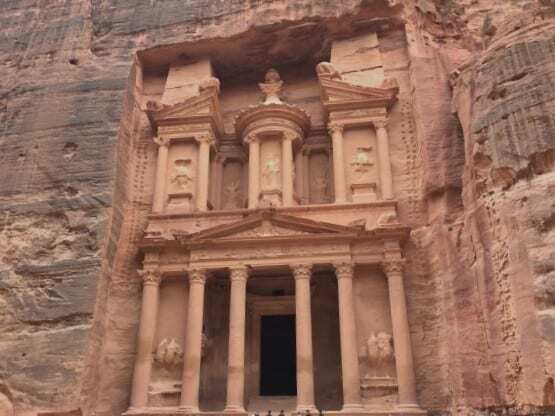 Though the trek through Petra and it’s the ancient sites would take a few hours if you moved briskly, there are only a handful of major sites to prioritize seeing(because they’re amazing!!) and several smaller sites, alternate views of the major sites, and generally fun trails to wander on. The entire walk through Petra is quite simple, a main path passing between the major attractions (Siq, Treasury, Monastery) making a self-guided trip as simple as a hike. Follow the signs through the town of Petra to the Petra visitor center. After passing through the initial gates,you’ll find a map of the entire protected area with major sights to see, and trails available. Behind the wall that the map is posted is the ticket office where you will pay your Petra Entrance Fees and receive your ticket. From here, follow the herd in the direction of Petra. Just before entering the protected area you’ll turn over your ticket at the security booth to have your Petra entrance ticket punched, and then proceed toward the archeological sites to come…and Petra. It is unknown exactly when the city of Petra was established, but archeologists estimate that the city was settled as early as 9,000 B.C. by the Nabataeans. Petra was also once the capital of the Nabataean kingdom, as early as the 4th century B.C. But who were these Nabataeans? The initial walk through Wadi Musa is flat, dusty, and filled with merchants peddling trinkets and men offering horse rides. Don’t be disheartened or annoyed, a 15 minute walk will take you to some amazing views worth the trouble. A horse ride on the approach to the Siq (~1 mile) is included in the price of the Petra Entrance fee, but I’m not a fan of riding animals – especially when they look as worn down as these as these animals, not to mention the handlers beat them fairly routinely. The horse rides are free and included in the price of the Petra admission ticket but as a personal favor to this guy I’d advise not taking the ride. You’ll see most of these horses and donkeys are in pretty bad shape and not treated very well (you’ll see them taking whippings later on). Save a horse. Ride a tuk tuk. 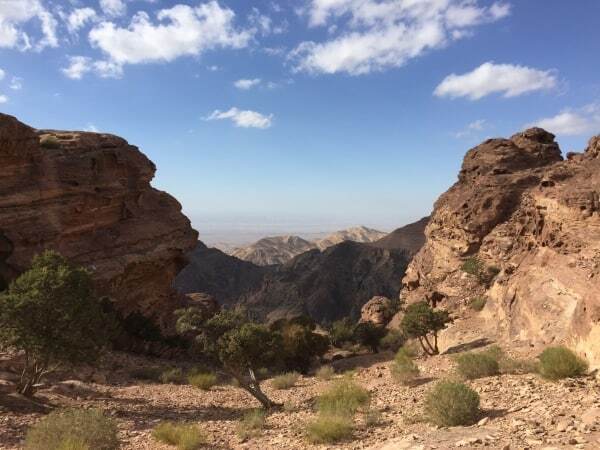 After a kilometer and 10 minutes of walking, you’ll arrive at the Siq, the first of a few fantastic views in Wadi Musa. The Siq, an Arabicword mean “shaft”, is a long path in a Wadi carved out by the rains overthousands of years. The 1.5 kilometer walk alongthe Siq is an interesting marvel, reminiscent of Zion national park andArizona, but still impressive in its own right. By far the most well-known site in Petra, the Treasury is a towering structure and façadecarved into the red rock cliffs of Wadi Musa making it one veryimpressive piece of architecture. The Treasury isbelieved to have been built in the 1st century AD. and wasoriginally established of the Nabatean King Aretas IV. During the 19th century, thestructure was renamed “Al-Khazneh” (the Treasury) by the local Bedoin as they believed it containedtreasure. Though you are not able to gointo the Treasury, the view from the outside is still amazing. Though the initial view is impressive, with a bit of a hike, there are several options for views from above. Download Maps.Me and the associated Jordan maps before heading into the park to see your hiking options when you arrive. Note that here you will find several locals offering to sell you hikes to “better views” and “quicker hikes”. I advise skipping the local guides’ detours and continuing on the path toward the monastery and “the best view in the world” as the sights you’ll see along the way are impressive enough and will easily fill your day. After marveling at the Treasury, continue on for a more impressive site, the Monastery, with plenty of additional sites in between. Along the way tothe Monastery you will pass a handful of interesting sites: the “Bab al Siq” or“the doorway to the Siq”, a very small bazaar, an ancient Roman pathway flankedby the ruins of buildings and temples, and an ancient Roman auditorium, and a royal tombs carved into the mountainside onthe right. 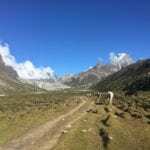 Here you will reach arest area and restaurant at which the path becomes steeper, crawling throughthe hills until you emerge at the monastery. An expansive view of the Arabian desert between Jordan and Israel. 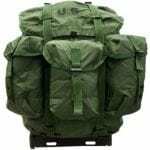 You could easily spend 30 to 45 minuteswandering between the different viewpoints scattered along the 100-200 metersof trail that sit right on the edge of a towering cliff. The view looks out towards the rockymountains, and vast, flat, desert sands that sit between Jordan and Israel. 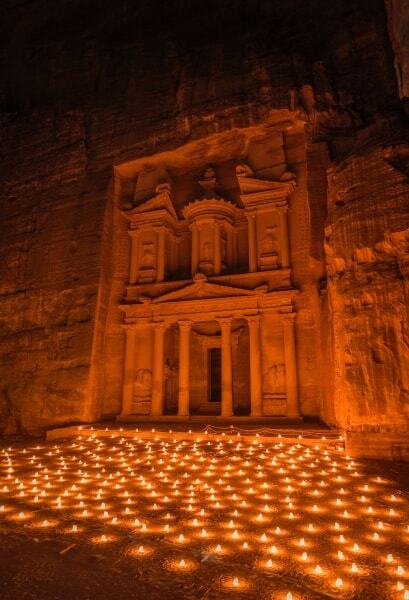 Petra is astonishing by day, but during the organized Petra night tours, called “Petra by Night” you can experience the archeological site of Wadi Musa at night lit by over 1,500 candles strewn throughout the path. Travel to Petra from Israel via Hostels: For those coming across the border, from Israel, doing a tour arranged through a hostel or hotel is likely the simplest and best option if you plan to return to Israel after Petra. Abraham’s Hostel in Tel Aviv and Abraham’s Hostel in Jerusalem, which I stayed at in Jerusalem and Tel Aviv, has great, hotel quality hostel accommodation and also offers tours from Israel (Jerusalem and Tel Aviv) to Petra and Wadi Rum. Travel to Petra from Israel via Tour: Several providers offer tours from Tel Aviv, Eilat, and Jerusalem to Petra. For those trying to cram a lot of sights into a short period or nervous about traveling the Middle East, this is a reasonable option. Guided tours from Amman are offered as aday trip, an overnight trip, or including an overnight stay in Wadi Rum. 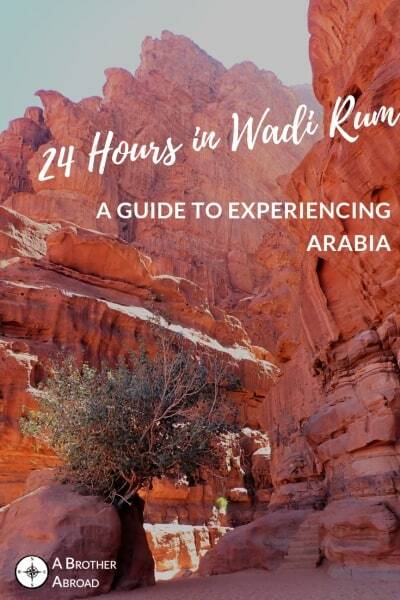 Read the “24Hours in Wadi Rum” guide for info on tours that include Petra andWadi Rum to learn more. The entrance to Petra, adjacent to the visitor, is located right next to the main bus terminal and many of the signs in town point toward Petra, making it very easy to find. 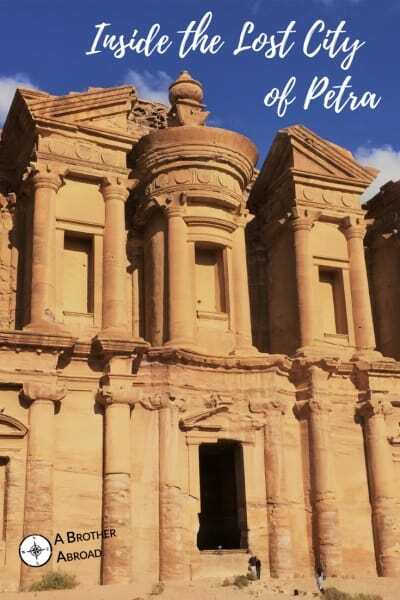 On arrival, you’ll pay your Petra entrance fee, which varies based on how many days you’ll be in Jordan, whether or not you came from Israel, how many days you will visit the park, and whether or not you purchased the Jordan Pass. How much is the Petra Entrance Fee? As of October 2018, the Petra Entry fee for a one day ticket to Petra costs 50JD ($70 USD / €60) and 5JD ($7 USD / €6) for each additional day up to 3 days. Entrance is free for those who have purchased the 70JD Jordan Pass, which also waives visa fees. 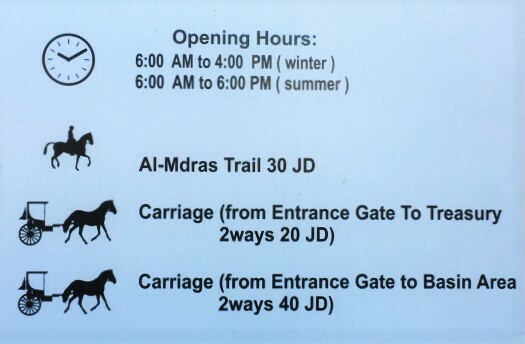 Get a used ticket from someone who has already visited the previous day and pay only 5JD for entry to Petra. Each ticket is single use and is punched at the entryway, but, you can purchase a second day entry with a used ticket for 5JD. Get a used ticket from someone and go to the park saying that you came the day before and would like to enter for the second day, paying only 5JD. Be sure to confirm that the person did not show their passport when buying the ticket. Some ticket sales attendants enter passport information while some (like mine) do not. If you get lucky and find one without passport info attached, you’ll save quite a few Dinars. If you have no problem getting to Petra, but want information with a local flare then hiring a guide Petra may be right up your alley. 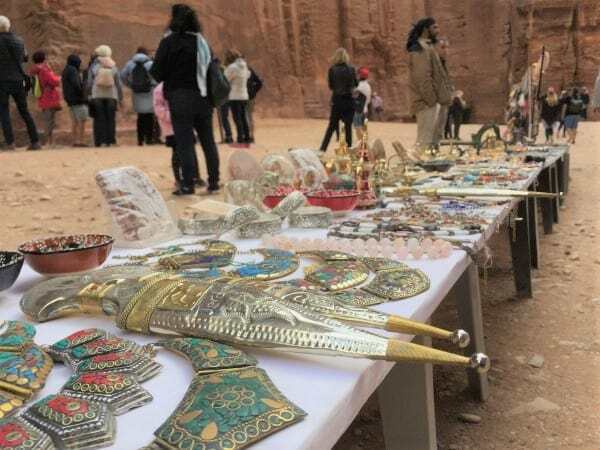 Licensed guides can be booked at the Petra visitor center and charge the following rates, for private tours and groups, varying depending on the distance of the tour and sites seen. 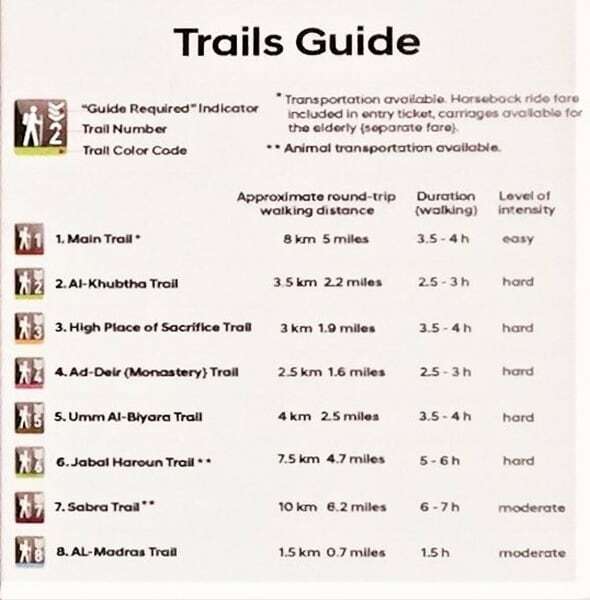 Hiringa guide for only the main trail will cost 50JD for the 4 kilometer hike alongthe main trail of Petra. Hiring a guidefor Petra’s main trail and the hike to the monastery will cost 100JD for the8km hike. If you would prefer to have your trip, transportation, and logistics planned, and also be in the comfort of other westerners, several tour packages are available starting in Amman, departing to Petra with guides, and returning to Amman. Other package tours that shuttle tourists from Amman, to Petra, and to Wadi Rum, and back to Amman. 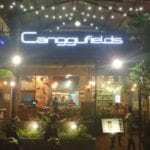 Catering more to the backpacker crowd, there are several tours departing from Tel Aviv and Jerusalem and covering the major sites in the region, to include the Dead Sea, the Red Sea, Petra, Wadi Rum, and several others. 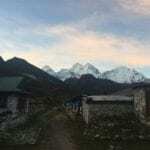 I always prefer to avoid the tours when traveling, saving cash and dialing up the adventure by navigating things solo or with an unguided herd – but – several friends had an excellent time with tours through Abraham Hostel. 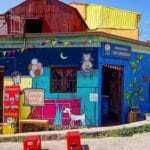 Not only does Abraham Hostels offer hotel quality shared accommodation via a network of hostels, they also make it is to see the major sites in the region quickly and easily. If you’re in Israel and pressed for time, give them a look. 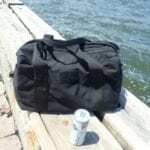 I suggest packing a lunch, or at least bringing snacks. If you’re feeling lazy, most hostels and hotels sell a boxed lunch to take into the park. Read below for a couple mini-marts I dropped by that had great sack lunch options. Also, if you’re interested in getting the most from Petra and the many sites, bring a smartphone, loaded with Maps.Me and the maps for Jordan. 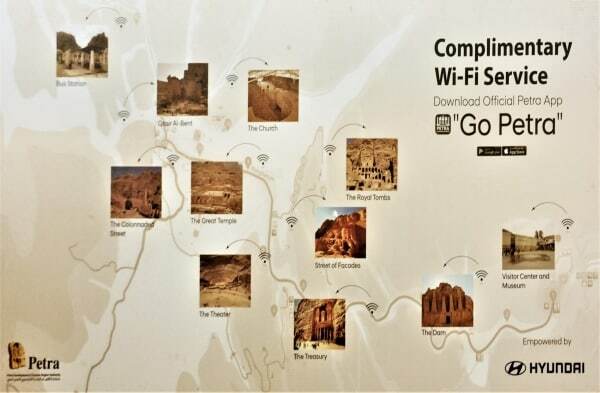 This will allow you to see all of the trails to meander onto throughout the Petra. If you do plan on using your maps and GPS (via your phone) throughout the park, bring a portable charging block – the use of maps combined with weak cell phone signal will drain your battery fairly quickly throughout the day of wandering. Shoes: The experience of Petra involves walking between 3 and 10 miles on packed dirt and trails, so wear footwear that you feel comfortable walking long distances in, such as sneakers or hiking boots. I brought a flannel shirt and windbreaker and was very comfortable in Jordan’s fall. Sunblock: – you know who you are. If you burn normally, layer that stuff on here. 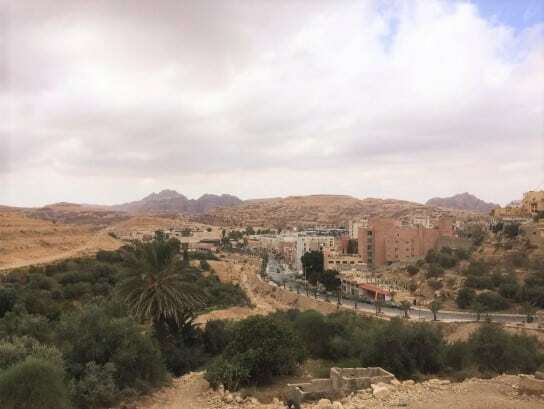 Jordan is a Muslim country and conservative by nature, but the town of Petra and the park of Wadi Musa are high traffic sites for western tourists. This means that most tourists won’t have any issues within the main city or the main sites dressing modestly by western standards, but out of respect for the culture it is best err on the side of conservatism. Dress in layers, with at least one layer to cover the arms and legs at will. Note that there are no mosques in Wadi Musa, so covering up will be up to your personal preference, not required. In my day in Petra and the archeological sites, I didn’t witness anyone, men or women, having any issues with not dressing conservatively enough. The best times to go to Petra are in springtime, between February and May, or in autumn, between September and November, when the temperatures average between 62° (in February) and 87° (in May), and between 83° (in October)and 62° (in December). January is an option as well, with an average of 52° if you don’t mind the cold. During the summer of June to September temperatures average between 93° and 96° but can get much higher. You may have the views all to yourself, but you may not anything through all of the sweat. The natural course of travel and sightseeing in Jordan is flying into Amman and seeing Amman’s sights, traveling south to see Petra, continuing south to experience Wadi Rum, continuing on to Aqaba and potentially relaxing and SCUBA diving in the Red Sea, then returning to Amman for departure. 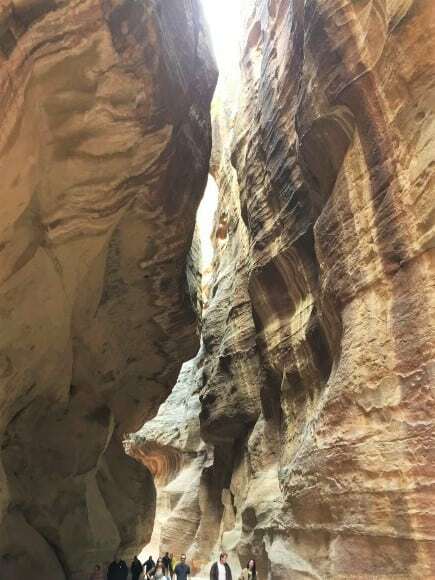 If your timeline is compressed, skip sightseeing in Amman in favor of time in Petra and Wadi Rum, as those are by far the most impressive sights in Jordan. If coming from the south after a trip from Israel, plan on starting in Aqaba, continuing north to Wadi Rum, then continuing to Petra, and finishing in Amman. Again, consider Petra and Wadi Rum the essential sights and all other sights “optional”. Petra is a major site in Jordan and because ofthis the Jordanians make it quite easy to get from Amman to Petra. Lucky for independent travelers. Whether you plan to take a tour, JETT Bus, or other shuttle, plan to leave early in the morningand book at least a day in advance. Buses to Petra only leave in the morning and book out quickly. From Amman to Petra by Bus: Take the JETT bus from the “Abdali” JETT bus station in Amman to Petra. 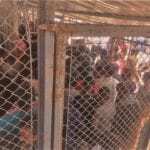 Tickets are 11 Jordanian Dinar and only one bus per day leaves every morning at 6:30AM. Ensure to purchase your ticket at least one day in advance, as they sell out often. Note that currently, the JETT website is down so your best bet is to drop by the JETT bus station to make your reservation. If you miss the bus and have a tight schedule, shared taxis from Amman to Petra are an option as well for 30 Jordanian Dinar if the shuttle is full. Shared taxis leave later in the day and shared taxi drivers can be found lingering at the JETT bus station, especially in the early morning. 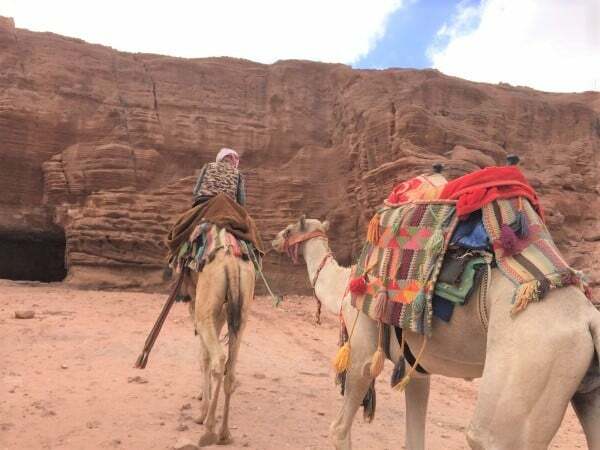 From Aqab to Petra: From Aqaba to Petra, the most common path is to first visit Wadi Rum – I recommend stopping off to see the Mars like desert for at least a half day tour. To go from Aqaba to Petra by Bus: Take the JETT bus from the Aqaba JETT station. The bus departs at 8:30AM daily, with a 2 hour ride to Petra, and returns at 4PM. That 5 hours and 30 minutes in Petra is plenty of time to meander through and see the major sights. The cost of a ticket is 12JD one way from Aqaba to Petra and 20JD round trip. For hostels and budget accommodations in Petra, searching Hostelworld for Petra is your best option. 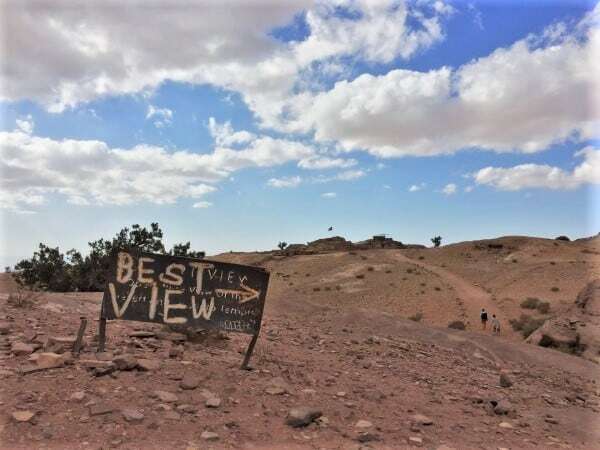 Most of the hostels are of similar quality, price, and rating, and located up a hill about one kilometer from the entrance to Petra. Don’t count on anything too fancy and don’t be shocked if the showers are cold as this is the norm with hostels around the Petra area. For hotels and private rooms, searching Booking.com for Petra, Jordan is your best. For budget hotels in Petra, search Booking.com for Petra for the best options. 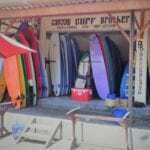 Accommodation types vary in amenities and price but booking.com has most listing available via the web and should have something to suit your likings and needs. Fair warning: if you are particular about where you sleep, book in advance. 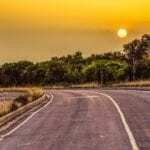 Though the types of accommodation area varied, there aren’t too many hotels so you may be stuck with something less comfortable than what you wanted or more expensive than you planned if you delay too long booking a hotel. For a Bedouin camp experience in Petra you will have to spend the night in Little Petra, not within the archeological site of Petra or the city of Petra. Seven Wonders Bedouin Camp is the most noted. 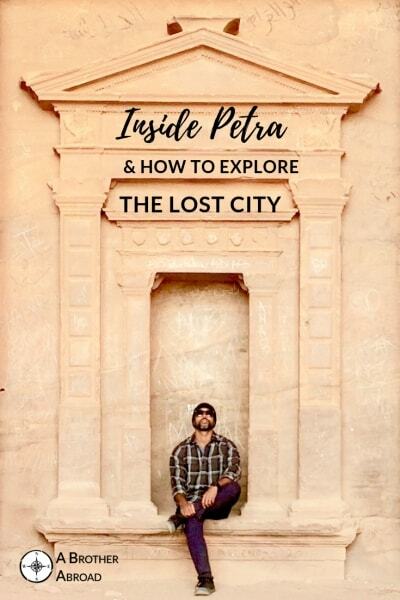 I only recommend this option if you plan on staying two days or more in Petra, otherwise book more conveniently located accommodation and save the Bedouin experience for Wadi Rum. After Petra, the best path is to proceed south to the deserts of Wadi Rum. 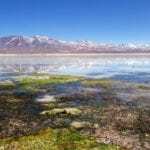 There you’ll have the chance to see unique rock formations dotting a red, sandy, desert landscape in a way that you only see in National Geographic. The best option for traveling from Petra to Wadi Rum is a 6AM shared shuttle that stops by each hostel and hotel to pickup passengers, but this shuttle must be reserved the night before by your reception staff. If you miss the morning shuttle from Petra to Wadi Rum (like I did) taking the local bus from Petra to Aqaba, getting off the “Wadi Rum Intersection”, and hitchhiking to the Wadi Rum visitor center is your next best option. For the cheapest flight options, consider flying in through Cyprus with a short layover on the sunny island before flying in to Jordan. Most major European airports offer inexpensive options for flying into Cyrprus (usually Paphos airport, but sometimes Larncaca airport) and flights from Cyprus to Amman airport run ~$87 on Tuesdays, Wednesdays, and Saturdays. Use the Skyscanner explore or Google Flights explore function to find the best dates and departure destinations for your flight to Jordan. The Jordan Pass is a great chance for travelers to Jordan to save money if they plan on visiting pretty. 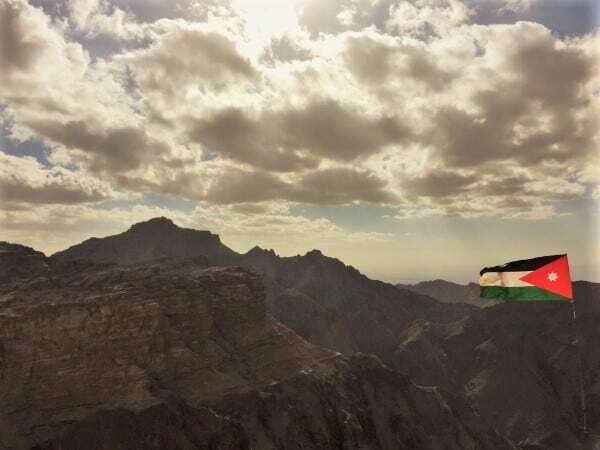 The 70JD ($99 / €87) pass allows a visa waiver into Jordan, saving 40JD, includes free entrance to Petra, saving another 50JD, and includes entrance to Wadi Rum, several museums, and several archeological sites throughout Jordan. Relations between Israel and several Middle Eastern or Muslim countries can be described as “strained” at best, and any evidence of visiting Israel in your passport will result in these countries denying you entry. I most recently experienced this in Egypt where they were screening me and asking my about my travels to determine whether I had visited Israel. I was also screened in Cyprus prior to flying out and in Lebanon upon entry. Israel is very aware of this and as such does not stamp passports. Unfortunately, crossing the land border between Israel and Jordan can result in a stamp indicating the border you crossed – and leaving proof of travel to Israel in your passport. Petra and Wadi Rum are both world renowned sites and worth the visit – many visitors to Israel realize this, coming over on day trips and leaving without sufficiently contributing to Jordan, in the eyes of the Jordanian government. As such, visitors crossing from Israel and coming to Petra are initially charged 90JD for entry to Petra. If the traveler returns the following day, 40JD of the 90JD will be refunded. Can you visit Petra from Israel? Can you go inside Petra? When to go to Petra?